Back in 2013, we had the opportunity to catch the frontman of Dashboard Confessional live at the Shine Auditorium. This September, Chris Carrabba will be back in Singapore alongside his band. 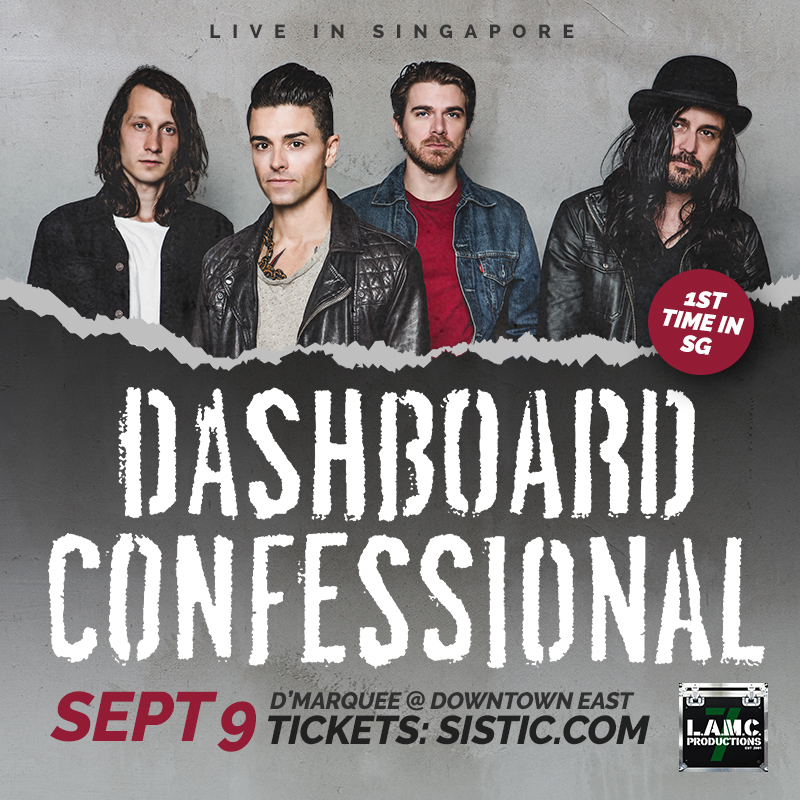 Yes, alternative rock band, Dashboard Confessional, will be performing live at D’Marquee @ Downtown East! For one night only, get entertained by Chris Carrabba on vocals, Scott Schoenbeck on bass, Arnon Jay on guitar and Ben Homola on drums & percussion with their hit singles such as Screaming Infidelities, Hands Down, Vindicated and more. Tickets are already on sale so grab your tickets now at SISTIC!